Calling all cheese lovers – we’ve worked faster than a wheel of Double Gloucester rolling down Cooper’s Hill to bring you Brisbane’s ultimate guide to all things gouda and greata. Hide your kids, hide your lactose intolerance, and get ready to milk this list for all it’s worth. You’ll find us brie deep in the fromagerie. The Stores offer a range of local artisan cheeses, imported favourites and new market delicacies, meaning you’ll never miss new exclusives that hit the block. Wine and cheese – a match made in heaven. La Lune know how to put two and two together, excelling in full-bodied wine and cheese plates featuring the likes of Garrotxa with native plum and peanut, and brebirousse with mushroom and sage. La leave me alone with the cheese, please. Raclette and roll to Il Verde if Death By Cheese is the way you want to go. 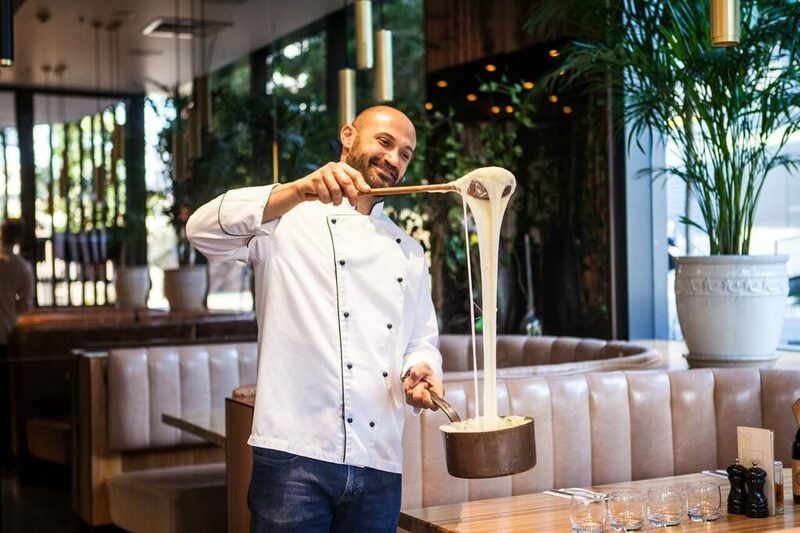 Every Tuesday and Thursday, a cheese wheel feast starts with wood-fired bread topped with melted cheese, followed by the show-stopper: pasta stirred up in Il Verde’s wheel of Parmigiano Reggiano cheese. A glass of wine and dessert are thrown in the mix, but we’re straight drooling over the mega cheese fix. Mooving on, Fromage the Cow is a gourmet farmers favourite. The cheese focused café, restaurant and fromagerie has some insanely grate offerings, such as fondue cob loaf, triple cheese pretzel burgers and whiskey glazed wild boar ribs with dolce blue mousse. You had us at cob loaf, tbh. Jay Z himself wouldn’t pick a feud with Emile & Solange. Set up camp in the cheese room, and taste your way through cheese from white mould to sheep’s milk and washed rind. The gals can also hook you up with gourmet hampers, sporting the likes of tea and cheese, champagne and cheese, chocolate, cheese and French wine, and more. That’s going straight in our basket. Hallou, is it mi you’re looking for? The Cheese Pleaser is an artisanal cheese shop tucked away in Brisbane’s CBD, where you can head for your morning cheese melt, take home cheeses, wines, a delightful charcuterie selection, and a small, seasonal menu prepared daily by in-house chef, Sebastiaan de Kort. Yes pleaser. Melty bois. 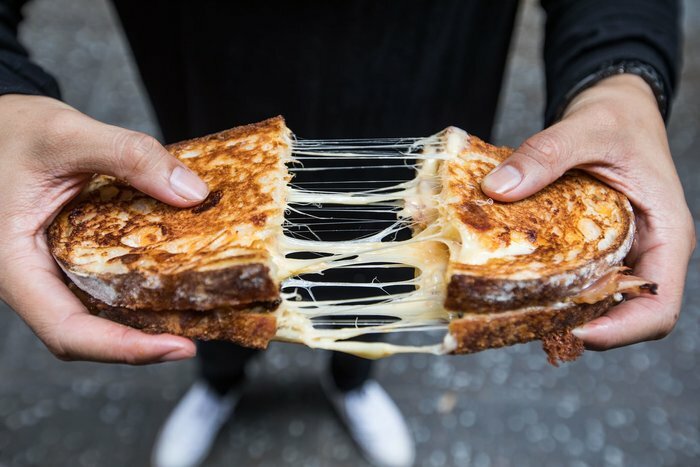 Get your gourmet cheese toastie fix at Melt Brothers with a side of 10/10 names, including Shake That Hass, Holy Cheezus and Mi Goreng Crazy (yes, Mi Goreng and toasties together at last). Somehow, it gets even better, with loaded gems and mozzarella sticks ready for destroying. Come at me, bro. Cheese boards are cute, but cheese towers are where it’s at. You can find these bad boys, along with a take home selection that will blow your rind at Le Fromage Yard. These guys have just opened, so they’re ripe and ready for the toothpickin’. 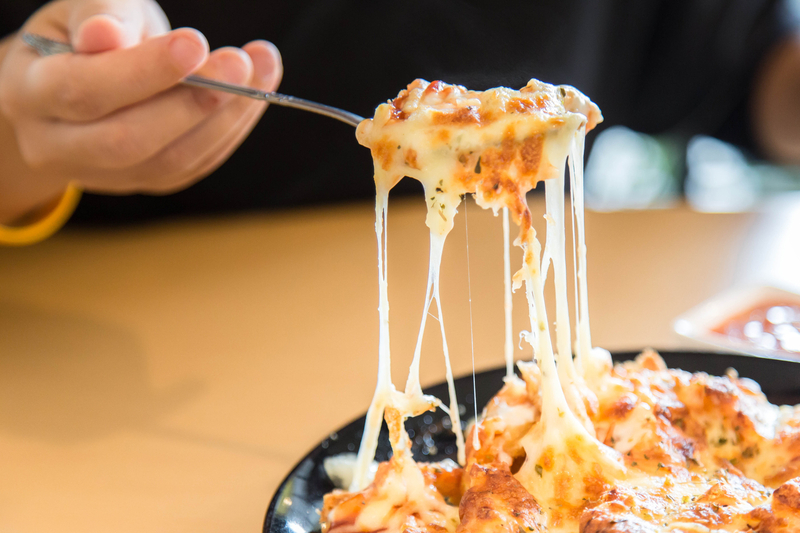 You can stand under our mozzarella-ella-ella, eh, eh. Further reading: French restaurants you need to try. - self pronounced dairy queen.